What do you think about the HST? It looks promising to me. I think I've heard somewhere that this is the project of the Brazilian government. Also, a good investment was COSS. We bought it in the ICO. Getting DRs is cheaper than RRs! Today Canya (CAN) Is getting listed on KuCoin. That might be fine. Last coin who added he had a growth of 400%. 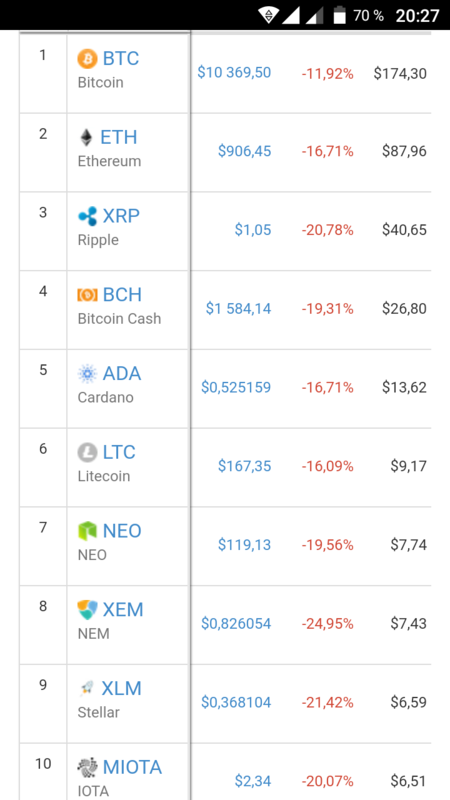 The market of cryptocurrencies shows mass falling of cost of coins in the last 24 hours. Judging by data of the CoinMarketCap resource, decline in the rate is shown by all twenty main cryptocurrencies. The collapse is connected with distribution of news that China intends to enter additional measures against trade in cryptocurrencies in the territory. As reports the edition of Bloomberg, in the country the ban of work of the online platforms and mobile applications offering exchange services prepares. It is about blocking of access both to actually Chinese, and to foreign services — everything where the centralized trade is carried out. I think this drop is short-term. Always someone has news about China and Korea and always trusts someone. Even the Korean government has spoken about this. They have nothing to do with this. The BTC is legalized in Korea as a formal payout method. I think investing in crypto currencies is very profitable. Do not watch 24 hours. 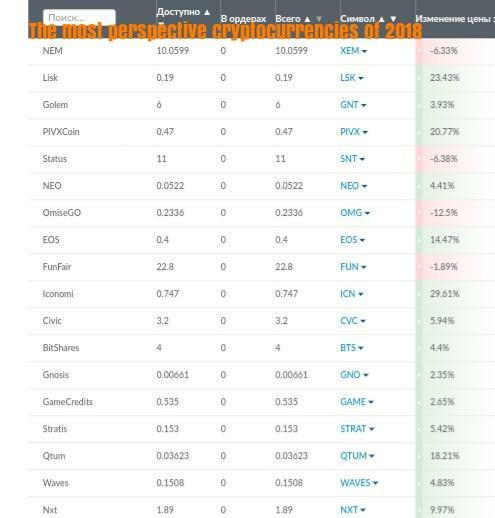 Look at the value of BTC, ETH, ETC and other currency 3 months ago, 6 months ago or a year ago. Cryptocurrencies the cost of which is underestimated. The list of currencies which should be bought now so far their course is low. Use correction of the stock market.